Perunding ZKR Sdn. Bhd. 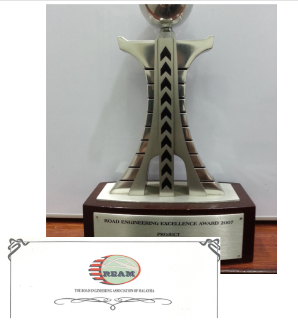 participated in the Road Engineering Excellence Award and was awarded the Road Engineering Excellence Award 2007 by Road Engineering Association of Malaysia for Guthrie Corridor Expressway. Perunding ZKR Sdn. Bhd. participated in the Road Engineering Excellence Award and was nominated as Finalist by Road Engineering Association of Malaysia for BESRAYA Eastern Extension.